In the United States, the allergy season has already begun and affected states such as Tennessee and Georgia, while it is more intense in Chicago where the frigid winter has delayed its onset. Meteorological department is expecting 2019 to be one of the worse pollen allergy seasons than ever. Pollen is main triggering factor causing hay fever in at least one in five Americans. The pollen secretion has been increasing year after year. One of the most important factors behind pollen surge is nothing but global warming. Climatic changes has been affecting the ragweed pollen season since 1995. Seasonal allergies are one of the most evident examples of how global warming has been increasing the risk of health issues. Seasonal allergies are responsible for causing a few health issues, which they will continue to happen in near future as well. 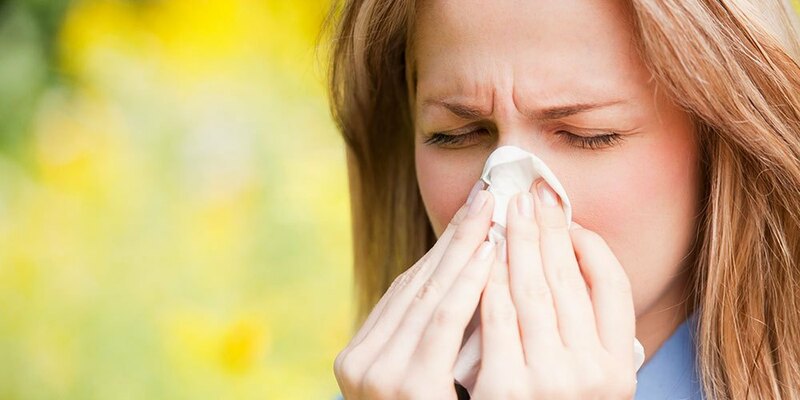 Seasonal allergies occur when the body’s poor or weak immune system interacts with pollen, causing an inflammatory response. Simply put, pollen triggers an allergic reaction to cause hay fever, aka allergic rhinitis. The upper respiratory system, including the nose, gets inflamed, causing symptoms such as red or itchy eyes, sneezing, nasal congestion or blockage, a runny or stuffy nose, and even a rash. Pollen is a fine powder-like substance produced at the time of sexual reproduction of various plants, including ryegrass, elm trees, and ragweed. Pollen season has been emerging earlier year after year in the United States, and is taking longer to end the season, especially the pollen from ragweed. According to one study, higher carbon dioxide concentration in the environment encourages plants to secrete more pollen. If you have a history of pollen allergy and go outside on a day when the pollen is flying around, your body will react to it once it is invaded. Your sensitive immune system will fight back and start making a lot of histamine, a chemical that cause inflammation. Your primary care physician (PCP), or an allergist, will first confirm whether you have a pollen allergy. Once that is confirmed, there are a few ways to treat seasonal allergies. Your PCP would prescribe an antihistamine, such as Zyrtec generic, that blocks the secretion of histamine that your body makes during an allergic reaction. You may also be prescribed a decongestant that will help you breathe easier by unblocking your nose. Some nasal sprays help relieve pollen allergies too. If all of these medicines fail, your doctor may advise a prescription medicine or even allergy shots. To prevent pollen allergy season, follow a few precautionary measures. Check the weather before you go outdoors. If the pollen count is high, it is better to stay indoors. Things can wait. Indoors, you can use a HEPA filter to remove pollen from the air. If you have spent time outdoors, change your clothing right away, shower, and wash your hair before getting into bed. If you fail to do so, you will transfer pollen to your pillow and blankets. You may even create a pollen buffer outdoors. If you are supposed to go outside, wear sunglasses to protect your eyes from dust and pollen. More importantly, take your medicine if you notice symptoms to prevent them from getting aggravated.